You Can’t Afford to Swim in an Ocean of Sameness – Whats your superpower? If you haven’t already, you need to subscribe to Success Magazine. I get nothing for this promotion but I think that hands down it’s the best value for money. Not only do you get great content but you also get an audio CD featuring spectacular interviews with people who you may not necessarily come across in your day to day internet travels. Nido was courageous enough to step out of the ocean of sameness of Universities – how they look AND how they operate. He had a vision and he is working steadfastly to making it come true. My friend Richie Norton talks about this kind of courage in his book “The Power of Starting Something Stupid.” You have to have the courage to do work that matters and to do it with your heart and soul. Break free of fear, pride and procrastination – we cannot recognize and operate from our inherent sense of direction if we are filled with fear and pride. If you regularly act on impulse, you won’t arrive anywhere good. You have to break free from self-imposed limitations. Find the courage to do things you are not ready to do – Richie shares how he got this phrase from Marissa Mayer, the new CEO of Yahoo!, at a commencement address at the Illinois Institute of Technology where she encouraged students to find courage to do the things you are not ready to do. Push through your uneasiness. 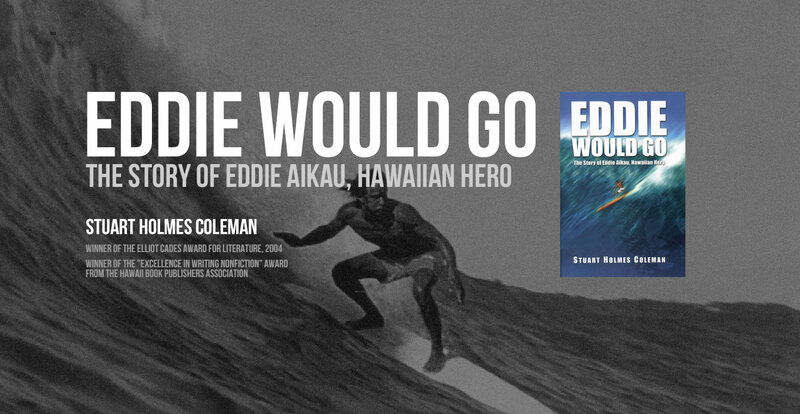 Set standards, keep them and get respect – Illustrating this section is the famous surfer Eddie Aikau. Have you ever seen the bumper sticker: Eddie Would Go. It refers to Eddie’s fame as a lifeguard who rescued many. And to his skills as a big wave surfer. Trust yourself – Richie explains that even if your life has been a series of mistakes and failures, those are things you did; they are not who you are. Powerful reminder to forgive yourself and move on. He paraphrases a well known quote from Paul Boese — forgiveness may not change your past, but it sure does enlarge your future. Are you delivering a unique message and product or service based on things you found that were authentic to you and your product and/or service? Or are you just mouthing words that you saw someone else deliver in a commercial you liked? And what about your clients – would your clients say you are unique and special? Are you contributing in a way that stretches you and maximizes your talents and abilities, or are you just following the rules because you’re too lazy to do otherwise? A friend was recounting a meeting at work, held by the Managing Director, with zero employee participation. Apparently he (the M.D) had received a book as a gift, read it, and was now trying enforce the book’s ideas. People can smell inauthenticity like a rat that’s been dead for a couple days and so everyone looked on in mock amusement as he tried to rally the troops and get them to buy in to the book’s philosophy. Was anything wrong with ideas in the book? No. What was wrong was the approach. This Managing Director refuses to hear any feedback from his staff. It’s his way or no way. Why would they listen to him? If we want to have any influence, and not just follow systems and rules and ways of doing things, we will have to do the work. We must be willing to receive feedback and not be so fixed that we are immovable. We must be able to step away from “this is how we’ve ALWAYS done it” and open up to new possibilities. Previous postWho Believes in You? Next postYou Will NEVER Succeed If…. I enjoy your posts Giselle. This article in particular resonates with me. I really appreciate the links to various resources that you selflessly share. Thank you Giselle.